I can't either, but I love Valentine's Day so much, I am ready for it! Jeri here, with the FotoBella Design Team. 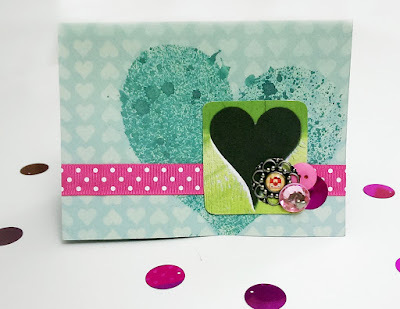 Here is another Valentine Card I made with the incredibly fun Calendar Girl I Want It All Bundle by Bo Bunny. This bundle is so amazing, almost everything on my card came simply from the Ephemera Pack! We would love to see your Love themed crafts. Post your pictures on the FotoBella Facebook Page! HOW CUTE! I just love this card! 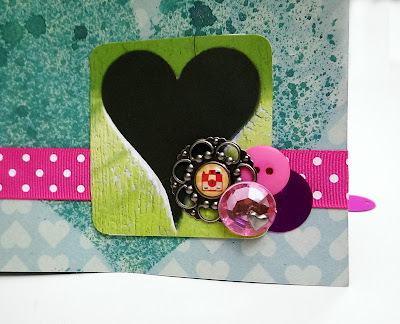 Fabulous card Jeri! I love how you didn't use the traditional Valentine's colors!